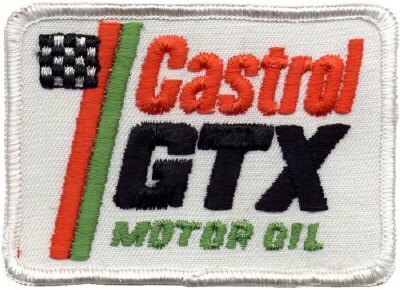 Castrol GTX Motor Oil Sew-On Patch. 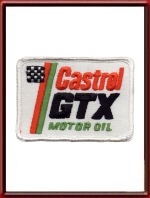 This is a sew-on patch from the early 1970's. It measures some 9 x 6.5 cm or 3.5 x 2.5 inches.